My frail mother is being psycologically accosted, terrorised, poisoned, assaulted, neglected & left to starve by aged care facility drs, nurses & workers who violently try to poison overdose, assault & incapacertate her further to justfy the purjury, assault & neglect crimes their involved in. Does everybody know there is NO PRIVACY ISSUE when genatalia can be blurred out with todays technology & face recognition software can also be used? Enforcing compulsory CCTV’s in all nursing home rooms/bathrooms, commons rooms & staff areas/offices will protect the elderly & expose suspect aged care facility doctors, nurses and workers who bold face/here say lie to family members & police & who have falsified many documents to cover up the poison overdosing, terrorising, assaulting & neglect crimes that they themselves have committed or are involded in covering it up. It should not only be a shock to police but anyone anywhere that a FAMILY MEMBERS WORDS are not believed by police when their loved one consoles in them that they have been/are being long term abused/neglected, terrorised, assaulted & starved by aged care facility workers & that the family member themselves is then left with no other choice other then to buy & use a survellence camera in order to prove what their loved one said was true to police so a single culpret is caught isn’t enough & pitiful because what that single camera doesn’t capture is the actions of the aged care drs, nurses & other care workers who were either involved in it or involved in covering it up for so long so they themselves can continue the abuses & profit from the incapacertating abuses the elderly secrectly suffer through alone & unprotected. If every aged care facility bed room, the commons room & staff/office areas had survellence cameras police would get a clear picture of what is really happening to their own families, friends & the elderly in these no survellence camera suspect, facilities. NEVER GIVE UP & DON’T LET Public Guardian/Trustee attorneys & Nursing Home/Hospice Facility registered drs, nurses & aged care facility workers THINK THEY’VE WON OR WILL GET AWAY WITH casually committing bold face lying/purgering, kidnapping, poisoning, terrorising, assaulting, assets robbing and homicide poisoning murder crimes targeting the vulnerable elderly behind these covenient “privacy” laws designed to stop survellence cameras from being installed in all aged facilitie SO what really happened to the elderly victim is open for Public Guardian/Trustee attorney & Aged Care/Hospice Facility registered drs, nuses & workers to ILLEGALLY bold face lie/purger/misinform & conceal the brutal poisoning, neglect, psycological & physical assault crimes THEY’VE COMMITTED AGAINST ELDERLY VULNERABLE VICTIMS from family members, authorities, private investigators, investigative journalists & the general public. Thankyou Marti, it was my pleasure. It is shocking to me that President Trump himself would allow this & i realize now how far reaching this corruption is because these poisoning/robbing accomplice perpetrators can easily have the laws rewritten to suite their needs and that is not what they were voted in or were granted degrees/licences for. I say they’ve comitted treason amongst other offences by setting their sites on the elderly & civillians in general, for their living. They can rewrite all the laws they want for all i care, because their just exposing themselves & their accomplices as corrupt perpetrators with alot to hide from their victims, families & the general public. 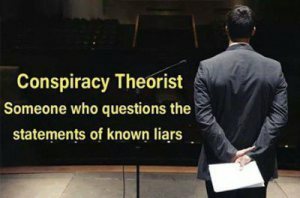 All theiir victims blogs/testimonies here as well as yours Marti has helped me see that educating yourself & family about them & keeping yourself & family as healthy as possible to avoid their medical/legal clutches & attempts to poison decieve & assault & rob you and family, will see their eventual demise. If you suspected your healthy mother/farther was poison addicted/damaged by a corrupt cabal & their chances of recovering & living a long healthy life with you was stolen from them & you for your inheritence, would you under orders force your mother/farther into the very hands that will kill & profit off your loved ones injuries & your families finantial securities? They only have power if you protect them & give it to them by enforcing their corrupt laws, you know. If these corrupt psychotics think they can continue to rewrite laws and enforce poison assaulting/injuring & robbing civillians of their health/freedom & money for their living, they are dreaming as it won’t last. They are being exposed/world wide and are found to be a desperate criminal corrupt minority that victims/families & the respected in the community wants incarcerated/removed. I’ve also noticed as more victims tell their stories & civillians in general are being educated here & elsewhere about their criminal activities & are staying healthy these corrupt medical, legal, judicial & political accomplices are suffering the consequences/loosing what they hold dear/victims to poison assault/disable & rob & are desperately advertising on radio and tv networks to corrupt others into joining their disrespected professions that relies on poison addicting, assaulting, robbing & killing their victims to secure an income. Now who wants to be named/associated with that/them, eh? Unless you want your reputation & family name tarnished that is. Even in their own ranks there are some decent people who have a concious & regrets joining them & they have their own corruption abuse stories to add for questioning them so if your reading this don’t be afraid and come forward, we are all fellow victims of corruption & you have caring friends here. There’s NO MEDICAL, STATUE, LEGISLATION OR LAW EXCUSE to increase malpractice assaulted/trafficked victims neural & immune system toxic myopathies making toxicity victims more vulnerable to bacterial & viral infectious organisims for revenue or an income! No matter how minute, multible toxicity stresses accross cells BBB will injure delicate cellular membrane & organelle structures disrupting their protective & protene synthesis functions lowering antibody & plasma production or worse switches on toxicity victims onco cancer gene that rapidly cascades/multiplys/spreads, robbing toxicity assaulted victims of a long healthy life. It’s all medically/legally documented, you know. Only the minority corrupt medical/legal racketeers/dictators & their participants in all this excuse what their doing is medically/legally nomal/accepted, when it’s really not. TOXICITY PUSHING, ASSAULT INJURING, DISABLING & ABDUCTING MY MOTHER & OTHER VICTIMS for revenue or an income is INEXCUSABLY TREASONOUS & CRIMINAL. They can’t be allowed to escape punishment. To me, the way malpractice/money laundering corrupt medical center, hospital & ursing home drs, nurses, psychologists, psychiatrists & managers refuse to acknowledge that what their doing is wrong by pushing prescription addiction neuropathy assaulted victims towards more toxins to increase their injuries/symptoms while justifying the fabrecated/FAKE diseases/illnesses they allege “patients” have for an/their income MAKES ME SICK! I CONSTANTLY WORRY EVERY DAY FOR MY MOTHER & FOR ALL THE VULNERABLE VICTIMS WHO HAVE BEEN TOXINS ASSAULTED/DAMAGED & WHO COULD OF LIVED A LONG HEALTHY LIFE if it wasn’t for these psychotic ACCOMPLICE criminals. Too many vulnerable families don’t know what really happened to their loved ones & have been viciously decieved, swindeled, scammed & bamboozled. These malicious criminals posing as medical/legal & judicial “professionals” MUST PAY for their crimes. Thanks again Mary for including me in your posts. Thank you for posting this! This is just more proof that crime does pay depending on who and what you are. Siv: They are ramping up the culling of the elderly and the disabled. Hospice is now the Grim Reaper and accounts for more than a million “hastened” deaths each year. This is no country to grow old in. WHAT ARE THEY HIDING FROM, EH?